Photo by Riad Kadri. Local beatboxer and DJ The Clockwork Alchemists aim to make their art form more prominent in Calgary. “Sometimes, honestly, the music sounds terrible,” says Matthew Perry, a 24-year-old SAIT student, as he laughs looking back to the music sessions he has held thus far. Imagine being in a house in the presence of DJs dropping beats over vocalists trying to sing, while beatboxers are synthesizing, along with other musicians playing guitars, flutes, harmonicas and banjos. This is the type of chaotic, but engaging get-together Perry loves to host at his home. As his music partner Callum Green would say, their jam sessions are like a melting pot of variety. “Triple T Mat,” as Perry is sometimes known, created a Facebook group to bring together beatboxers and freestylers in Calgary. He not only promotes his own events, he also posts videos of other famous beatboxers, as well as his own peers’ event appearances. As Perry’s Facebook group, “Beatboxers & Freestylers of Calgary Alberta Canada,” is open to everyone, his idea of growing support for the beatboxing community has spread fast. For the people who don’t beatbox or freestyle but are still interested, Perry keeps his group open to the public and welcomes everyone. The collaborations he hosts are open to every person in the group including those who’d like to just come check it out. As Perry stated, beatboxing isn’t as known or popular in Calgary as it is in the United States; Americans hold annual beatboxing conferences. Perry was happy to talk about the first Canadian beatboxing championship, which was held in Toronto last year. He believes if the group stays strong and active, it may bring the beatboxing championship to this side of the country and Perry would like to be the spokesperson. Perry has been beatboxing for over seven years, and it started with the inspiration from his idol Beardyman. “It blew me away how many sounds he can make,” said the beat enthusiast. Perry said beatboxing is raw, which gives a lot of sound and the best time to beatbox is during the most emotional times. Along with his friends, Perry has performed in local lounges and clubs. To accompany Perry’s beats, he works along with Green, a DJ, who’s been producing his own music for over three years. Together they formed a music partnership and call themselves The Clockwork Alchemists. 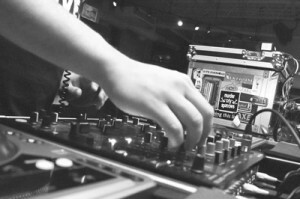 Both beatboxers and DJs like to stick to themselves and do their own thing because these two positions are known to be a one-person job. But Perry says, as a beatboxer, working with DJs and MCs stunts his abilities as a music artist and producer. Together as The Clockwork Alchemists, Green says they strive to create a live performance aspect with their collaboration, but don’t like labels. While busy keeping up with the Facebook group and playing shows at clubs and lounges, Perry and Green are also currently working on an upcoming album called Mechanical Mixtures to showcase the idea that beatboxing and DJing can be combined. They are currently working on their website and they’re aiming to have tracks available to download for free with the option to donate, along with CDs for purchase.